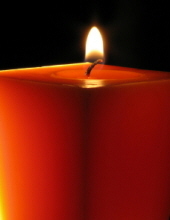 Robert E. Linette, 90, of Reading, passed away Sunday, November 11th, at his residence. Robert was born in Reading, on April 27, 1928, a son of the late Mary (McCartan) Linette and Walter C. Linette. Mr. Linette graduated from Reading Catholic and was a printer by trade. He was the widower of Fern V. (Foreman) Linette. Mrs. Linette died Feb. 6, 2000.
two sons Robert L. Linette, of Virginia; Michael G. Linette, of Reading; and a sister, Mary Gehringer, of Reading. Services and interment will be private at the convience of the family. The Sanders Funeral Home and Cremation Services, Inc., 1501 North 11th Street, Reading, is in charge of the arrangements. Online condolences may be at www.sandersfuneral.com. To send flowers or a remembrance gift to the family of Robert E. Linette, please visit our Tribute Store. "Email Address" would like to share the life celebration of Robert E. Linette. Click on the "link" to go to share a favorite memory or leave a condolence message for the family.